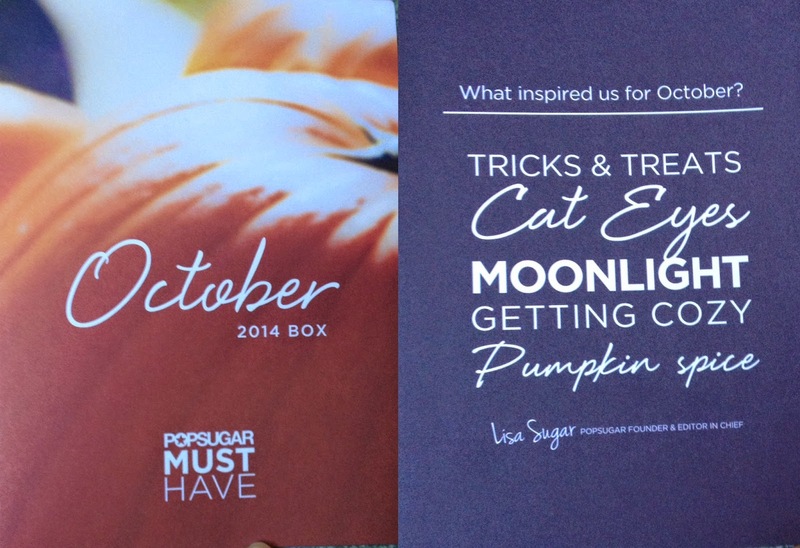 Halloween is right around the corner and I couldn't wait to see what PopSugar had in store this month. I remember loving the October box last year so I just couldn't wait to get my hands on this years box. Recently PopSugar updated their website and as a result there where some shipping issues this month. I received my box much later then I normally do. * This month's box let me down somewhat. The box lacked a typical high value item and did not compare value wise to September's box. On a positive note, I can see myself using all the items provided since they were so basic. 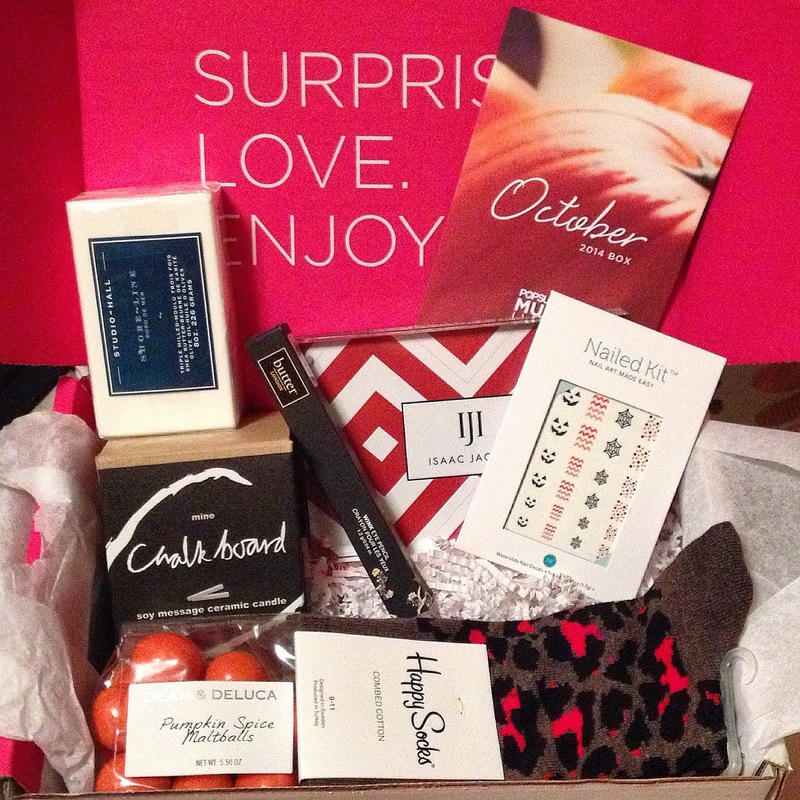 Wantable is a monthly subscription service which offers 3 different customizable boxes: beauty, intimates, or accessories. You can get a one time box for $40 or a monthly subscription for $36. Each month you will receive a box with 4-5 full size items based on your personal preferences. If you decide that you don't like the items that Wantable's stylists pulled for you, you can send the entire box back for a full refund. It's a Win, Win! This month I decided to do a one time order for the accessories box. A long silver multi-chain necklace, connect with silver oval details with an adjustable clasp. A great rock piece in dark silver featuring two rows of a knotted design. A great glam piece, complete with rhinestones and knot detailing. * Compared to my first Wantable box, this box was a big hit. I learned my lesson and was much pickier with my choice selections this time around. I received $85 worth of accessories and one of them was an awesome statement necklace. Not to mention that the rings are both sized and fit perfectly. Walmart has hopped on the subscription box bandwagon with a new seasonal beauty subscription for only $5, making it $20 for the whole year. To learn more and sign up for your own Walmart Beauty Box click here. Here is the box I received for Fall 2014. Please keep in mind that some variations due occur between the boxes. Travel Size: DOVE Advanced Hair Series Oxygen Moisture Shampoo 1 oz. Travel Size: DOVE Advanced Hair Series Oxygen Moisture Conditioner 1 oz. * I am very happy with this box. The item values far exceed the $5 price tag. I purchased my subscription on September 19th and received it Sept 30th.